October’s post ‘Women now have half the number of children compared to 1950‘ attracted great interest amongst blog readers from around the world. It highlighted how global life expectancy has risen 50% since 1950 to average 70 years. Over the same period, the average number of children being born has halved to just 2.5 per woman. It thus suggested today’s ‘population explosion’ is in reality a ‘health explosion’. The great benefit of increased life expectancy means women don’t have to have children every year, in order to ensure the family will earn enough to survive. So they are free to do other things with their lives, such as go back to work after childbirth. During December, the blog will therefore look in more detail at the position in the world’s 5 largest economies – USA, China, Japan, Germany and France. Combined, these are half of the global economy ($36tn). Thus China’s ‘demographic dividend’ is rapidly turning into a ‘demographic deficit’ as the labour force now falls. Thus although China’s policy is now being slowly repealed, it may not lead to many new babies being born. China, however, has an even more serious problem looming, as the latest OECD Pension Handbook shows, due to its lack of Western-style pension and social security provision. Its basic pension pays just 1% of average individual/province earnings for each year of coverage, subject to a minimum 15 years of contributions. So 30 years’ employment provides a pension of just 30% of this average wage. Some employees also pay 8% of their wages into a retirement fund and receive top-up annuities based on individual savings – but this only covers 210m urban employees. Just imagine the challenge this poses for the new government. It aims to refocus growth on domestic consumption, and away from exports and infrastructure spend. Yet as the OECD reminds us, China’s average earnings are just $7500 (versus $42500 across the OECD). So 30 years employment gives a pension of just $2250, plus annuity. 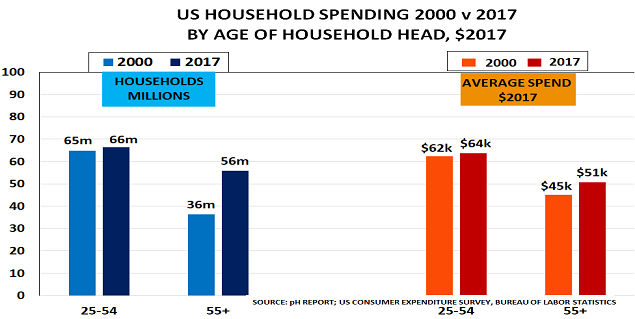 So how will all these New Old – 250m people today, 450m by 2030 – afford to buy lots of consumer goods and services? Almost certainly, China’s population is going to get old before it gets rich. But many Western and Asian companies have failed to recognise the criticality of this issue. They imagine China is about to become a thriving middle class paradise – a mix of Manhattan, Knightsbridge and the Ginza rolled into one. Reality is rather different. Those companies who provide affordable basic products and services will do very well. Others will find business very difficult, as yesterday’s demographic dividend turns to tomorrow’s demographic deficit. Virtually every country has seen the same trends. Thus when people talk about a ‘population explosion’, they really mean a ‘health explosion’. The two developments are, of course, closely connected. Increased life expectancy means women don’t have to have children every year, in order to ensure the family will earn enough to survive. So they are free to do other things with their lives, such as go back to work after childbirth. 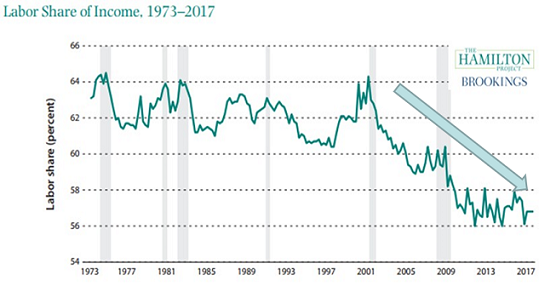 This led to the arrival of dual-income households for the first time in history in the 1980s, and was great news for the economy. It opened up important new markets, as working women not only needed labour-saving appliances for the home, but also had the income to buy them. But that was then, and this is today. Most of us, not just the lucky few, can hope to live beyond retirement age. So we now have record numbers of people in the New Old 55+ generation, also for the first time in history. This, in turn, means the economy has gone ex-growth. Older people represent a replacement economy, who already own most of what they need. Equally, they have much less money to spend. A couple retiring at age 65 would need a pension fund of $1m just to equal median US income of $40k/year. Most people have nothing like this amount of savings. Equally, and contrary to popular belief, the emerging economies are totally unable to replace this lost demand. Their incomes rose during the SuperCycle but are typically only a tenth of those in the West. In China, for example, only 4% of the population earn more than $20/day. And even this $7300/year would leave them a long way short of joining the Western middle class. Demographics, as we describe in ‘Boom, Gloom and the New Normal’ are now driving major and fundamental change in the global economy. Those who instead believe in a return to the SuperCycle are going to be very disappointed. The G7 group of countries are almost half (47%) of global GDP*. They also have the highest incomes, and are therefore still the major driver for the global economy. If we understand what is happening to their populations, we have a great insight in the key driver for demand, as we showed in ‘Boom, Gloom and the New Normal’. The chart above is therefore the blog’s annual update of this key data, showing 2012 births. It shows this data by age profile, so older people are to the right. 55 is a key age in terms of demand patterns. It marks the moment when people’s spending begins to reduce, as they already own most of what they need, whilst their incomes reduces as they move into retirement. In the past, of course, this cohort was not of great importance to the wider economy. Even in the G7, life expectancy was only 66 years as late as 1950. In the emerging economies it was only 44 years. And generally speaking, people’s needs were very limited in their last few years of life. The good news is therefore that life expectancy in the G7 has now risen dramatically to around 80, and to around 70 in the emerging economies. This is a truly dramatic achievement. But it also means a large number of people are now in the New Old generation for the first time in history. And whilst their needs are larger than in 1950, they still represent a replacement economy and have to depend on pensions when they retire. Increased life expectancy is a fabulous benefit. But it has been accompanied by a similarly major fall in the number of babies being born to the average woman. So today’s ‘population explosion’ is in fact a ‘health explosion’. Demographics drive demand. 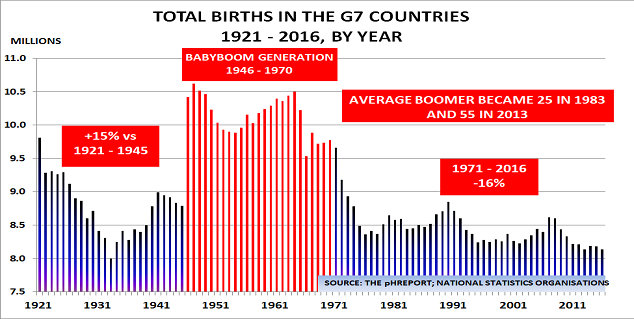 Today, around 40% of the G7′s adult population is thus in the New Old generation, and in their low-spending years. This means economic growth will remain slow for decades to come. Smart companies will instead focus on the new demand drivers of age and income, if they want to maintain growth for the future.